Your use of any part of this site constitutes your acceptance of these Site Terms, which take effect on the date on which you first use this site. Beetroot Publishing Ltd reserves the right to change these Site Terms at any time by posting changes online. You are responsible for regularly reviewing information posted online to obtain timely notice of such changes. Your continued use of this site after changes are posted constitutes your acceptance of the amended Site Terms. Whilst Beetroot Publishing Ltd endeavours to ensure that the information on this site is correct, no warranty, express or implied, is given to its accuracy and Beetroot Publishing Ltd does not accept any liability for error or omission. 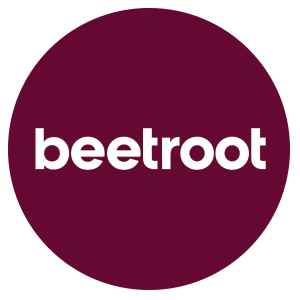 Beetroot Publishing Ltd intends to make this site available 24 hours a day, but it shall not be liable if for any reason this site is unavailable at any time or for any period. Access to this site may be suspended temporarily or permanently and without notice. Beetroot Publishing Ltd does not warrant that this site will be compatible with all hardware and software which you may use. Although we may put in place security measures for your protection, we shall not be liable for any damage to, or viruses, trojan horses, worms or other malware that may cause loss to or otherwise affect, any computer equipment, software, data or other property as a result of your access to, use of or browsing of this site or any other site or page to which you are directed or your downloading of any material from this site or any site or page to which you are directed. Beetroot Publishing Ltd accepts no responsibility for hypertext links which do not exist. Links are provided for your convenience on an “as is” basis with no warranty, express or implied, for the information provided within them. * Your use of this site and the Materials on this site is for your information or personal use only. You may not use this site or such Materials for any commercial purpose without our express prior written consent. * You must not in any way modify any such Materials, except as we expressly permit. * Beetroot Publishing Ltd’s copyright notice or, where indicated, the notice of our suppliers must appear in all electronic or hard copies of any Materials from this site. * No part of this site or the Materials on it may be reproduced in any form or media without our prior written permission. * Any rights not expressly granted in these terms are reserved. Beetroot Publishing Ltd is committed to protecting your privacy as a user of our website and the confidentiality of any personal information that you may provide us with during your visit to our site. Beetroot Publishing Ltd abides by the Data Protection Act of 1998 (see http://www.dataprotection.gov.uk/) and complies with its provisions to ensure that any data you provide is treated accordingly. Find out how to use your browser to block cookies.